You know in the movie Field of Dreams how there’s a lineup of cars coming to an obscure Iowa farm to see a supernatural baseball game? That’s kind of what’s going on in my neighborhood right now. Minus the supernatural baseball game, plus about 70,000 Christmas lights, give-or-take a few bulbs. Complete with a radio station in sync with the lights’ action. Yep, we are that neighborhood. 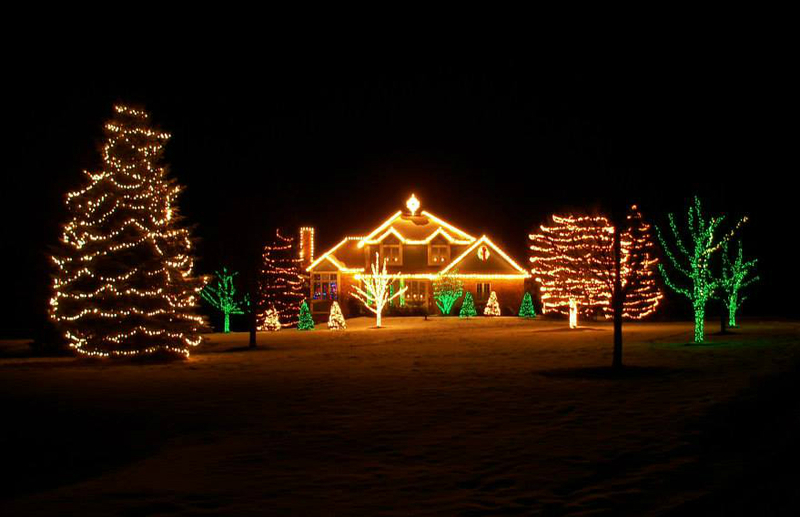 The good news is that it takes away the pressure to have the perfectly lighted house, since we know we can’t compete. I don’t know where they all come from, because while we’re not entirely obscure, we aren’t exactly on Main Street, either. But they all come for one reason: to watch the lights. And I wonder, what is it about the lights that fascinates us so? I’ve been thinking about this the last few years as I see displays go up and drive around to the best-lit neighborhoods (one of my favorite Christmas traditions). We’re mesmerized. Totally captivated. We can hardly look away. And suddenly it hit me. Or, rather, the lightbulb came on. This might not be a coincidence. I can’t help but believe there’s a mysterious, yet undeniable and beautiful connection here. The Light of the world, Jesus, came into the darkness of this world. He—God Himself—came as a baby, grew into a man, and loved us so much that He took the curse of sin for us that we could be welcomed into friendship with God for all of time and even after that. Whatever the reason, the true Light of Christmas is way better than any supernatural baseball game. *You should come see it! Stop by our house for cookies, coffee, and cocoa! The lights will be on through January 1.